1. In a medium sized saucepan, melt butter over a low-to medium heat and add molasses, white sugar, brown sugar and vanilla. Stir until the sugars and butter have melted and are well incorporated. Allow to cool slightly. 2. Once the butter and sugar mixture has cooled, add the egg and mix to combine. 3. Sift the flour, baking soda, cinnamon, cloves, pepper (if using), salt into the butter and sugar mixture. Add the fresh ginger and mix until combined. 4. Cover the pot with a lid, and place in the fridge until it is easy enough to roll into balls (about 1 hour). 5. Preheat the oven to 175C/150F and line a baking tray with baking paper. Roll the mixture into walnut sized balls and roll each ball in the remaining 1/4 cup white sugar. Place on the baking tray (don’t press down) and bake for 13- 15 minutes. 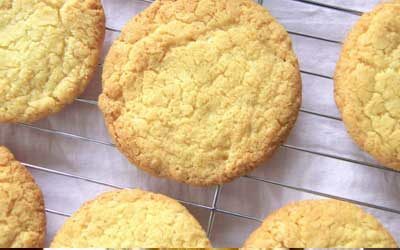 The cookies should have a nice ‘ring’ around the edge and a flat center which is cooked through. 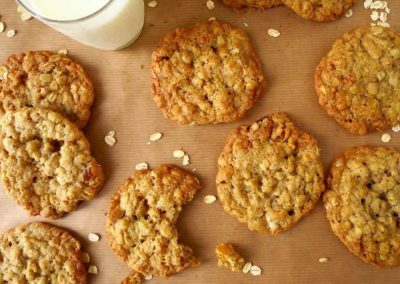 Leave the cookies to cool on the tray before transferring to a cooling rack. 6. 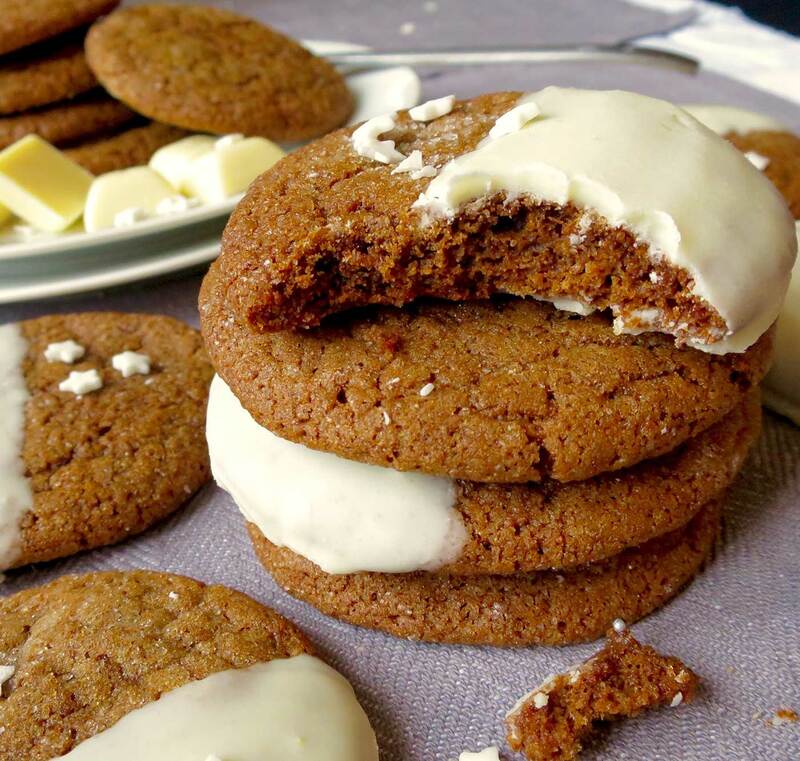 Either in a microwave or double boiler, melt the white chocolate and dip the cooled cookies in the white chocolate. Decorate with sprinkles or leave plain. Cookies should be stored in an air tight container – be warned, they will not last long. 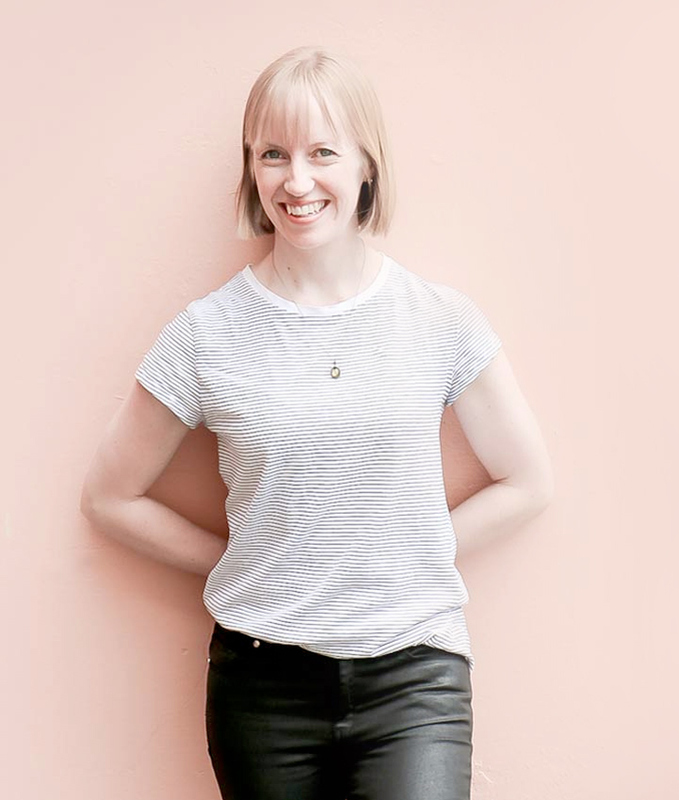 * at a pinch, you could substitute black strap molasses for regular molasses, golden syrup, or honey – however, I haven’t tested these substitutions. Black strap molasses is very strong, so if substituting, I would recommend increasing the substitution amount to 1/4 cup. 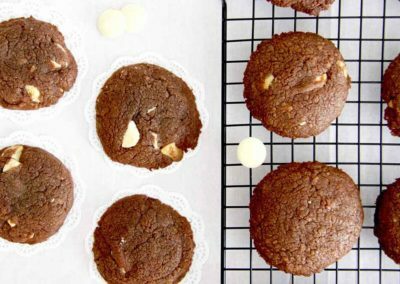 A soft, chewy yet fudgy ginger cookie with just the right amount of crunch – everything a ginger cookie should be. They are the perfect crowd pleaser! 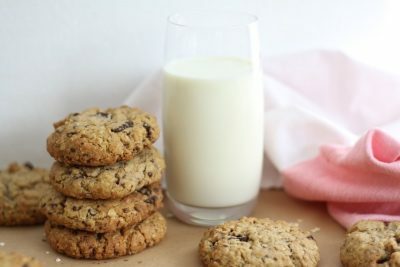 These cookies are irrestibly soft and chewy. They have a slight crunchiness on the outer edge that gradually becomes more and more chewy, fudgy and soft as you bite your way to the center. 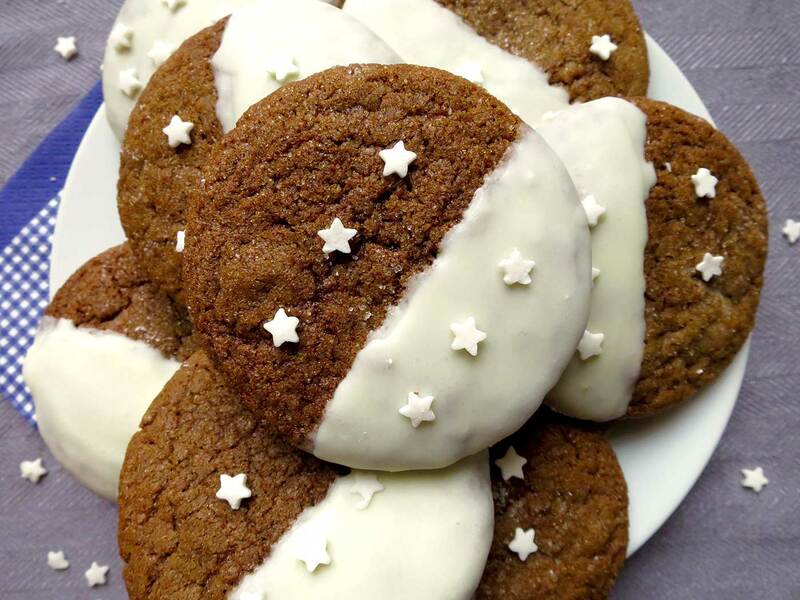 Mmmm, they are much like these cookies, with a ginger cookie twist to them. They are spiced with cinnamon, cloves, ginger and sweetened with molasses…then they are dipped in white chocolate to make them extra festive and special. These are going to look so sweet on the Christmas table this year, don’t you think? 1. 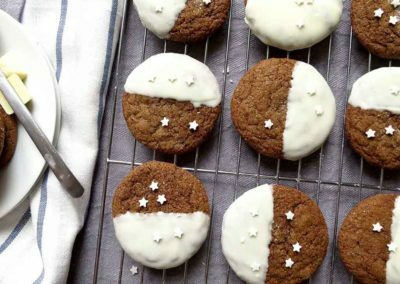 These ginger cookies are a one pot wonder so your kitchen won’t look like a bomb has hit it afterwards. 2. We don’t have to cream any butter – time and effort saver. 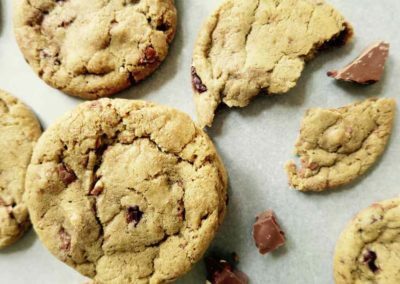 I guess they are a cookie baker’s dream cookie – an amazing result for little to no effort required. 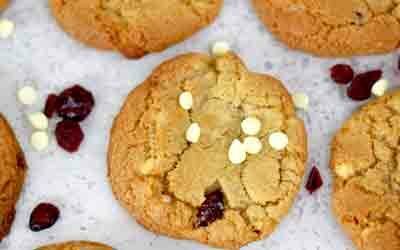 A perfect cookie recipe for this busy season. 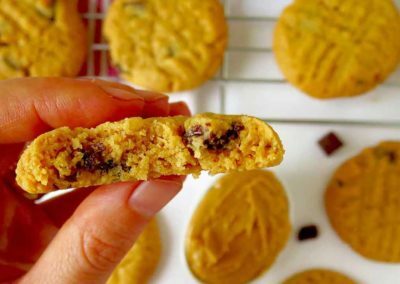 The baking secrets to these cookies are much like the secrets revealed in the chocolate chunk cookie recipe but let’s recap here anyway. Melted butter adds chewiness (and adds ease when baking!). 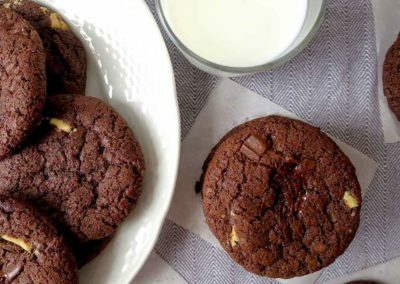 Baking Soda helps the cookies to spread rather than puff (like baking powder does), resulting in a beautiful flat, fudgy cookie. White sugar adds crunch, whilst the brown sugar and molasses adds richness and a fudgy, chewy texture. Chilling the dough enhances the flavours dramatically and enables easiness when rolling into balls. The uncooked cookie dough balls are rolled in sugar before baking to give them extra crunch and will sparkle and glisten as you eat them. 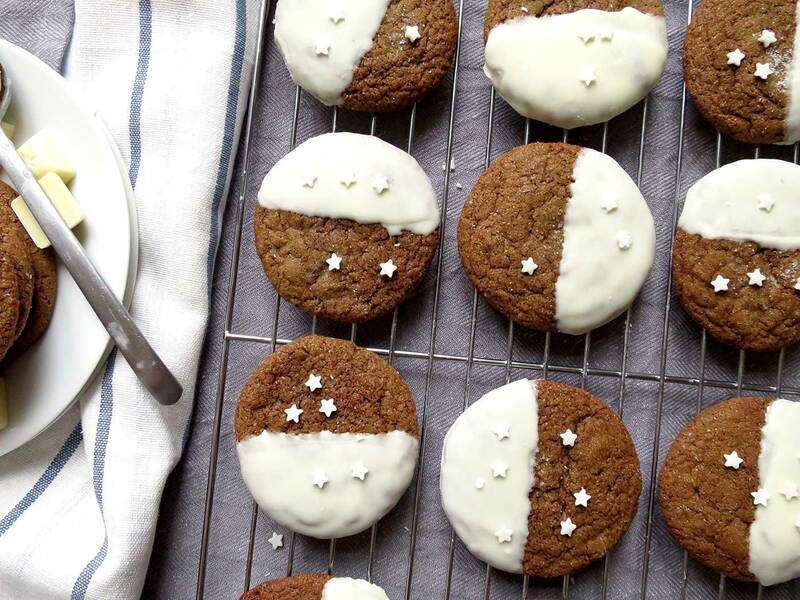 These cookies are delicious and pretty without the white chocolate too, so if you’re out of white chocolate – don’t worry. Also, as much as I like the extra crunch and glisten, you could skip the end part of rolling the dough in extra sugar to cut down on the sweetness. 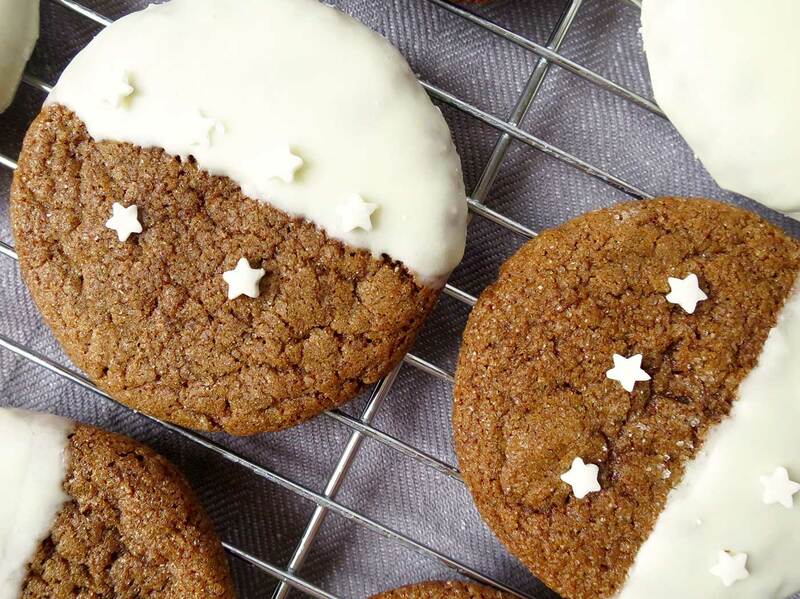 You are going to love making and eating these ginger cookies! 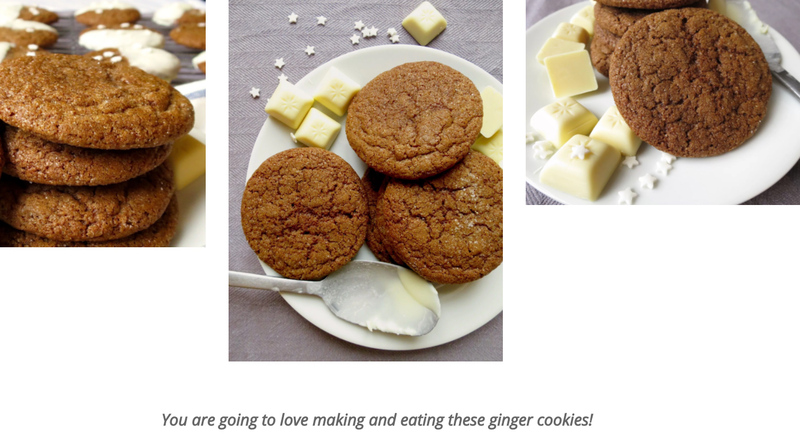 I have been receiving some awesome photos of your baking lately – thank-you!! It’s so exciting to see you make WSB’s recipes. Why not share these photos with everyone?